Dr. MªPaz Linares, born in 1982, has got her Degree in Mathematics by the UPC at 2005. She has completed Master of Logistics, Transportation and Mobility also by the UPC at 2008, with a final project dedicated to Vehicle Routing Problem incorporating backhaul customers. In 2014, she holds her Ph.D. in Statistics and Operations Research at UPC about dynamic traffic assignment based on mesoscopic traffic simulation. Since 2008 she is an assistant professor at the department of Statistics and Operation Research at UPC teaching in the Degree of Mathematics, the Degree of Statistics and in the Master of Logistics, Transportation and Mobility, in the courses: operation research, mathematical programing, urban microsimulation, city logistics and engineering optimization. During 2004, she was collaborating in the IRI (UPC-CSIC) in projects related with industrial optimization solved by simulation. Since 2005, she is working at UPC in R+D projects specialized on the application of optimization and simulation techniques to transportation problems. In particular, from 2010 to 2013, she worked for CENIT (Center for Innovation in Transport) to work in projects related with smart cities. Currently, she is working at inLab FIB UPC in the Smart Mobility group, collaborating in projects related to dynamic traffic models: developing simulation models and using them to optimize transport and traffic problems. 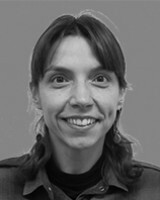 She is the project manager and main researcher of the CoCar Simulative Evaluation Project being executed on behalf of Volkswagen Research.